« The David Archuleta Music Scholarship Campaign 2013 is Here! Gone on a mission blues. He been gone on a mission blues. I’ll just keep doin what I do. I play his music all day long and then I FALL back into bed. He been gone too long on a mission blues, yeah. I watch whatever Abrra plays cause it don’t MATTER anyway. I’m saving all my money till he gets back home again. Cuz if he don’t come where I am, I’ll just HAVE to go to him. He been gone too long on a mission blues. I’ll just keep right on doin what I mostly do. and was surprised by a huge statue of Elvis I had overlooked before in the dark. Looking up at it, I remembered David at the Delta Fest in Memphis, saying “Thank you very much,” after each song until he laughed at himself for doing it. There is a spirit to Memphis and a spirit to the Blues that feels like nothing else. The music claws deep into your soul, unearthing feelings that are raw and real. I want David to sing the blues sometimes. He has the gift and a passion to bring what is dark into the light. Think of “Falling” and “Broken,” both written by him. And there is pain even amidst the joy in the songs he wrote for The Other Side of Down and those he chose for Begin. As an artist he is an old soul of tremendous empathy and unfathomable depths. “Musically, he was like an old man in a boy’s skin.” ― Eric Clapton on Steve Winwood, age 15. And here is the whole performance on video. This entry was posted on Wednesday, March 13, 2013 at 12:38 AM	and is filed under Art, artistic freedom, David Archuleta, The Voice. Tagged: BB King, Blues, David Archuleta, Eric Clapton, Jack White, Memphis, Son House. You can follow any responses to this entry through the RSS 2.0 feed. You can leave a response, or trackback from your own site. Angelica! Love your post, as usual; it is just so witty and informative! 🙂 Great little poem about the blues! ♥ I just love hearing David sing the “blues” or “soul”. Another way for him to grab my heart and not let go! He is just crazy with “Crazy” and it was so awesome to be able to hear him sing in live at my first VIP! And that howl is something else!! Oh David, you have it all!!! I’ll say it again: I can’t wait to see what you have become! #2014!!!!!!! Actually, Jack White is my grandson’s favorite singer. He’s ok, but not David. Angelica – I just LOVE me some blues! David could certainly make some bluesy tunes for us. Hoping! Congratulations Argentina! You are the second largest catholic population in the world. He is the first Jesuit Pope. Pope Francis, a simple, kind man they say not interested in riches. Hey Gladys, you have the Olympics, the Pope and David. He sounds like a sweet person like David. He speaks Spanish of course. He cares about the youth. In Argentina he travelled by bus so people who wanted to see him could. So good for the Latinos! Hey, he is from one of the America’s. St. Francis of Assisi was all about humility. Hopefully this will add to improvement in the world overall. I am not of the catholic faith but I hope to see changes in the world. He wants a big brotherhood. Sound familiar? First the picture of David singing his heart out. Then, I not only read the lyrics you created, I sang them as I read along. Ha! The song is an anthem for all fans who miss him every day. Thank you for sharing the pictures of Memphis sights. I had never seen that Elvis statue. Very cool! Just marking time until we can get back to our David routine. I will enjoy the new article tonight when this day is done. Right now I am working and only have time to listen while I work. I love your David mission blues. We sure miss this young man. I love the picture up top. I love the Crazy video, I was there. David made my hair stand on end with his out of this world vocals. He gave me a high five as he walked out as I was sitting in the front row, wow the memories. Sunny and Gina Orr were there. Almost ready for the one year countdown. A Latino Pope. Curious to see the changes David encounters upon his return. lol at David saying I’m not Elvis after so many thank yous. Thought of you today Gladys when the Pope was selected from Argentina. WOW! haha Angelica, love the poem. 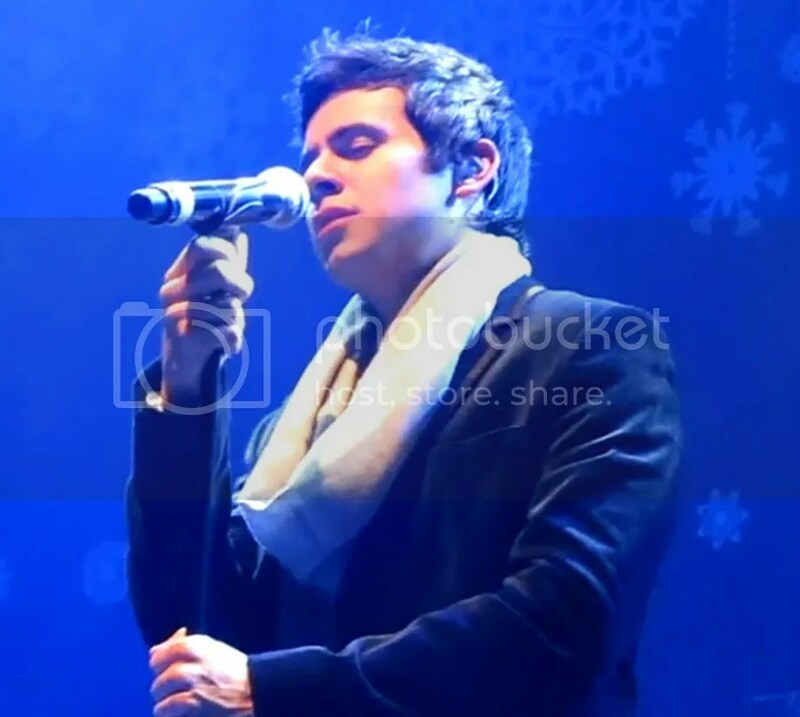 The “David Archuleta, gone on a mission blues” Yes, that’s exactly what we’ve got! But I must say, it would be a lot harder without all of you guys. Chats on Tuesday and Saturday really help. We have lots of fun and lots of David. haha What great company!! Your vacation sounds like a great time was had! 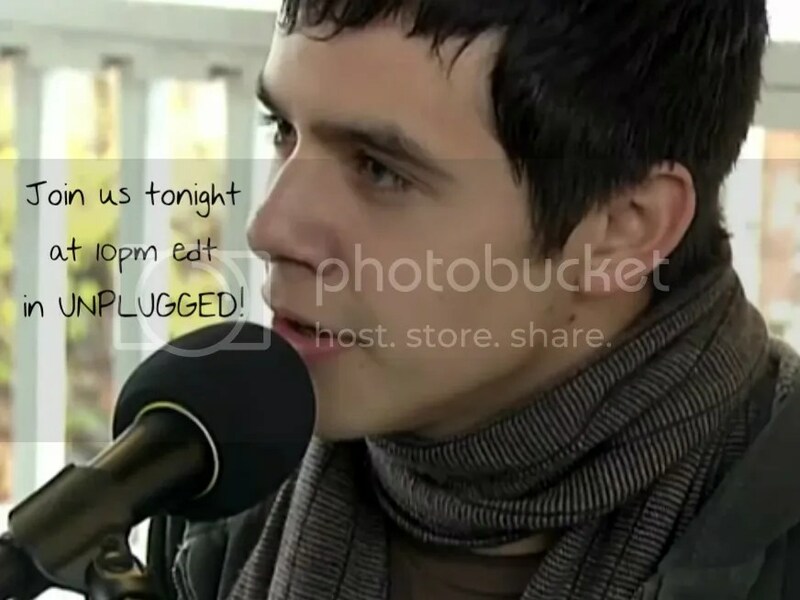 Haha I think the whole fanbase has The David Archuleta Gone On A Mission Blues! I started singing your song as if I had already known it! I was anxiously waiting for any pictures from Memphis and girl did you deliver! What I wanted to see was exactly what you showed, the streets as you walked by. The Elvis statue is so cool! Wow, I just watched some of AI. Now THAT made me miss David. I enjoyed it for the most part. My fav’s are Devin Velez, Burnell Taylor and Candice Glover. I don’t get all the fuss over Lazaro Arbos. He is a weak singer so far, IMHO. I enjoyed Candice. She has quite a voice and she uses it pretty well. I didn’t think Burnell was as good as he was last week, but was still good. I like him. I missed Devin’s performance but I liked him last week. I did see Angela Miller and Kree. I like both of them, too. I don’t have a clear favorite yet. I will admit that David has spoiled me. While I like a few of them, I felt that most of them left me wanting to pull the notes out of them. Their voices just never quite “went there” if you know what I mean. You know, like David’s does. And I’m not really a fan of Lazaro either. He’s sweet, but the voice just isn’t what it should be to be in the top 10. It makes me miss him. Djafan….I am curious to know of any changes that South America incurs while he is away this upcoming year. I didn’t realize that the number of Catholics in SA is the second highest number in the world. All very interesting history that may make that noticeable turn towards helping the less fortunate. MT – I’m watching this year, too. Agree with all you said. I missed the first guy – did he sing When You Believe? I have to go find the youtube of that and see if he attributed the performance to David. Missing “our David.” No one quite measures up, do they? I checked on MJs. He sang “I Believe” by Fantasia. They have all the performance videos on the site if you missed any and want to check them out. What a lovely article and poem, love it. How nice for you to wake up with those poem in your head and you share with us :). I love me some Blue from David, oh well he can sing anything and everything sounds heavenly, haha not evern bias !!!. Love the Crazy vid above, sexyy voice there !! I was watching the videos of the season 7 (abrra sent me those jewels). I noticed something, when David singing heaven, the next song was You Raise Me Up. I always see signs in the most unusual places. I know a very beautiful story, but I’ll adapt to David. David asks God, why you left me alone? I’m walking alone. God tells David, you never walk alone, I am always with you. David, I do not see your footprints on my side, I only see mine. God: -the footprints that you see, they’re not yours, they are mine. I’m taking you in my arms. That’s how I feel every time I see it, someone special protecting him. Thank you very much, was a surprise announcement, we are very proud. The new Pope is a good man, very simple and very austere. I’ve seen several times taking public transportation or going to the poorest neighborhoods. I have great faith that he will bring fresh air to the Catholic religion. It’s what we all need. Gladys – I was very excited and happy to see that the new Pope is from Buenos Aires and he took the name Francis and since I live near San Francisco, California, and people are excited that he took that name. I thought of you when they made the announcement! Now I have Walking in Memphis in my head. Another great song. I’ve changed my password, but may change my email altogether. Thankful …….for David…….for his heart of gold ……for his beautiful music……for his strength of character……for his vision……for his selflessness……for his kindness and goodness ……for his caring……for his work ethic…..for his positive joyful spirit……for his engaging smile…..for him keeping it REAL…..for him following his dreams…..for his ever present inspiration …..and for helping to change and rearrange the lives of so many in a positive way. BECAUSE OF DAVID …..The David Archuleta Music Scholarship was created by loving fans…..and has succeeded because of such loving and giving fans. THANK YOU all for keeping this great scholarship in David’s name going for our 4th year. It is such a great way to pay tribute to David…..and help young music students follow their dreams. This is truly a gift from fans to David for all he has given to us. Even though David is away….his heartprint is still being felt. Also, I love March Madness because I am a big Kansas Jayhawks fan and the next one we will be counting the days for David’s return!!! Loving the blues song Angelica posted. It is no fun having the blues if you can’t sing about them. It just seems to me that David’s blues would be happy blues. This season I have been recording the AI shows, then pretty much just fast forwarding through them. Cannot seem to get invested in any of the contestants. But I did find myself pausing to listen and watch Keith Urban. Never having been a country fan I did not know him at all. He seems so “nice”. And so “musically knowledgeable” And then I noticed he would “sprinkle his comments with bits and pieces of songs as he talked”. And has anyone else noticed “the neck”. I think he is my favorite part of this season. Djafan, I am also jealous of Gladys hearing David sing What a Wonderful World. If I had one wish for David singing a song, that would be it. I’m in full agreement about Keith Urban. He is a cutie pie and I love to listen to him talk, and sing those little bits. (Yep, kinda reminds me of David.) He seems to have a very sweet personality. I like when the camera moves to him during performances because he has really cute mannerisms. He’s my favorite part, too. I really enjoy him on the show. My all-time favorite Crazy, it makes me feel weak in the stomach, in a good way. Heidijoy, thanks for the reminder of the Reno Works For Me, we were all craaaazy ourselves after that! I have 2 favorite Crazy’s, no I just thought of a 3rd, but Dja, your idol viewing party is one of them. I remember that vividly. Jan, those virus people are crazy. Why would they do it? Ugh. Not watching Idol this year, I can't get into it. I never noticed Keith Urban’s neck but I do know that he’s an accomplished musician. Here’s a good example of what Keith can with a song about a painful breakup. Dayzee, I think Keith Urban is great too!! It’s so cute how tickled he gets when the contestant is doing a good job! 🙂 I am a country fan and he’s one of my favorites. Bebe, thanks for posting that video of Keith! He reminds me of someone else I know…bettter in concert than on cd! Loved it! PS, Dayzee, I checked the neck. LOL Not bad! Bebe! Thank you so much. I had never heard Keith Urban sing before. I really liked it. How thoughtful of you to post that. MT “David will always be my number uno.” I like Keith, but he is in no way a replacement. It’s just that he has some attributes that I have come to appreciate. Haha. and Crazy….genius,Every time he sings it. Imagine him ‘singing the blues” along with some of that wailing and humming…kjhfkjakkjakkjsdaw! I really like Keith Urban.nothing phony baloney about him. Gladys, I thought of you too♥ when the new Pope was announced! Up late as usual. I knew you guys would understand my blues song even though I don’t really feel sad. Like I said, I’ll just keep doing what I do. I want the time to go by but time has a way of doing just that. I have a feeling the next year is going to go whoosh! I heard it through the grapevine he has lost his English accent when speaking Spanish. Another year and we will all be daid listening to those soft consonants roll off his tongue without any hesitation. Let’s all just take a moment of silence and think about that for a minute. Works for me! Speaking of, did someone mention this as an example of bluesy David? The David Archuleta Music Scholarship has a special announcement for today. Thank Goodness It’s $5 Friday!!! Starting today, we will be having our “Thank Goodness It’s $5 Friday” campaign. as this is a great opportunity for fans to “pay it forward” to David. Admin edit: $5 is a small thing but what a great thing it can bring to pass in a young person’s dreams. We need to encourage the youth and the arts as much as possible and continue this wonderful scholarship and legacy in his name. Thanks for adding “Works For Me” Also highly recommend “Waiting On The World To Change” @ Beaver Creek. Sorry not saavy enough to add myself. Loving the trips down Memory Lane. 🙂 Gladys Your welcome. I see many thought of you!! David Archuleta gone on a mission blues – we’ve all got it bad. David singing the blues! I could listen to that all day, every day! #31 Wow, I want to hear David sing something like that. djafan – you and I must be tumbling in the same vortex. I played that video last night several times while cruising through youtube. I just LOVE that. You’re welcome! Keith Urban doesn’t hold a candle to our David in terms of vocals and I know nothing of his character but he sure put a lot of passion into that song! Besides being a judge on Idol this year, I know two other things about him. He’s married to Nicole Kidman and he’s from Australia. Do I have the desire to follow him? Nope. Holy smokes! It’s that contortionist cat again! And I see that your espanol has mucho improved! Pero I must keep my trusty Google Translator handy to decipher your words. #41, That video … the part starting at 2:56. That part just kills me every time, no matter how many times I rewind it. So natural and so so good. Even after 5 years, his talent and versatility still amaze me. Those were the first two songs I thought of after Angelica’s Post!! Nice to see they are favorites of others too!!! That cat is unreal! haha. Contortionist is right! I would never follow Keith either or anyone else. I just listen to country when I’m not listening to David, so I hear Keith’s songs. Country stations treat their singers better than the pop stations. Can’t stand any besides David and they don’t play him. How about this for some preparation for the Spanish singing?? bebe, was thinking the same thing – Keith Urban is 45 years old, lots of life experience to draw from. To think David is a mere 22 years old and can move me the way he does, can only imagine in 5,10,15 years. Another reason why I think he will become more and more successful in coming years. Haha! No, my espanol has not improved. I can speak David though and used Google translator to change it to Spanish. 🙂 Here is the English version. Hi, it’s David here, I just want to tell you all how great it is to be back and thanks for waiting and all the support! Can’t wait to start making music again and I’m already working on the Spanish album! Well, see you later and hope to see you all soon on tour! Love the videos being posted, especially #41! There were so many I thought of but had to narrow it down to a couple. Here’s 2 more I had in mind that show off his soulful/bluesy gift for feeling the music and just running with it. I had never seen this. Boy he freaked out security and all for his “fans”. Nope I’m not going anywhere. I’m here for the long haul, waiting. Dja, love that vid. Had never seen it before. He is the best! MT, I had forgotten that Tina put that at the end of her mgr till I posted it tonight. Had a good laugh. Miss her and hope she is doing better every day. That’s Beebee from PlanetHunkerdown on the sidebar. Dayzee, how selfish of me! Sorry…Here you ask for help and I’m just thinking of myself! haha Take my life line, we’re in this together! 🙂 We are all in this for the long haul! The Sounds of David Luncheon and Fan mixer only has a few tickets left for April 6, 2013! We will be closing our tickets sales no later than March 21, 2013. Please come and join us for a action filled day with lots of entertainment and fun activities. We will start registering guests at 11:30 am so please be early as we have a few surprises in store for you! All tickets will be given to paid guests at registration desk with your guest badges, free raffle tickets and table seating. Our after party will start at 7:30 pm at the poolside terrace! Those wishing to use pool please feel free to do so during the party as the pool is open till 11:00 pm, food is open till 10:00pm. For those guest flying into John Wayne Airport you are only 10 minutes away. The Hotel suggest a taxi over a shuttle as it would be less expensive. Please feel free to contact us with any further information you may require. @kariontour Hey Kari. Have you’ve been talking to David on the phone lately or recently? How is he? @kariontour That’s great to hear that he’s doing really well. Awesome! The next time you guys chat, can you please tell him we miss him? @TiannaWinston every week I remind him and many I am sure have told him in the letter he gets that I send to him! @kariontour Awww! Thanks Kari for telling David about us and updating us about him while he’s away. We appreciate it a lot! Make sure you send David his mail!!!! @kariontour please continue to thank David for the many wonderful things he left for us…so grateful!! @kariontour Kari will David still have his fan mail address when he comes back? @AmandaAArchie as long as he has mail coming in he will have it. I think it will be around for a ver long time! I think I’ve gone over the edge. Been watching missionary homecomings for the past hour. Is it 2014 yet? So far, I’ve ordered 6 albums..2 each from Amazon, Best Buy and Sears. Hope that Walmart has the physical hard copy to buy so I don’t have to wait for them to be delivered!